When you go to purchase a second home, it is hard to know what to do with your first. Although your heart may tug you to hold onto it, the wise financial question to ask is: Is it better to sell it or rent it? There are two ways we run rental analysis. One is quick and can be done on the back of a napkin. The other is more detailed, best done in a spreadsheet. The spreadsheet is obviously more accurate and nuanced. We use the spreadsheet method when we are doing the analysis for clients. However, the fast strategy tends to get the same general answer without requiring as much mathematics. It requires less inputs and can be useful in cases where the situations are more hypothetical or time is limited. The first step is gathering your data. Your answer will only be as helpful as your assumptions are accurate. You’ll need an idea of for what price your home could sell, what your mortgage balance is, the interest rate on your mortgage, your annual taxes and insurance, and the amount you could earn renting the property each month. We will also assume a vacancy rate of 92%, the national average. The first step of the quick math is to estimate rental income and home appreciation. We do this by multiplying the annual rental amount by the vacancy rate, and then subtracting out all other costs. The costs include taxes, insurance, interest, and repair and upkeep costs. You can compute the return of the rental income as a percentage of the amount of equity you have in your own by taking the annual rental income and dividing this amount by the potential sale value minus the mortgage balance. However, the value of the rental property is usually also increasing each year by at least inflation. To take this into account, we grow the value of the home by inflation and subtract out the realtor fees you’ll incur on sale. In our example, we will use a 2.1% inflation rate and 6% for realtor fees you’ll incur on the sale of the home. We then can compute a nominal return by taking the total gain of both property appreciation and rental income and dividing by your equity in the home. This result is a much higher return. The mortgage on your property makes the return of renting higher. Even though you are sharing ownership of your house with the bank, you (and the realtor fees) alone receive the appreciation on the asset. Because the example loan has a very low interest rate, the owner receives mostly gains with very little cost. Now, to determine if those rates of return are favorable, the next step is to gather your comparison data. The average return of a real estate investment fund (currently 5.1%) plus our assumed inflation rate (2.1%) equals a nominal return of 7.2%. If you have enough equity in your home to reduce your return below 7.2%, then you should sell the property and invest the proceeds in the stock market. If you have a return higher than 7.2%, then keeping your mortgage and renting your property might be the right decision. 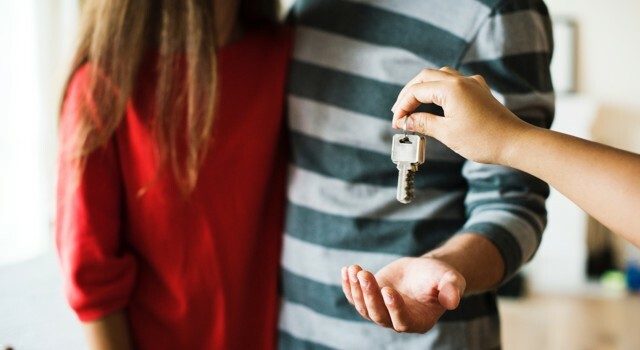 Owning and maintaining rental property requires a great deal of work, and hiring a management company to handle those responsibilities would reduce your return and might change whether you should rent or sell. If you don’t use a management company, you should consider the additional earnings payment for your time managing the property. Is My House an Investment? Mailbag: Should I pay off my mortgage early? Mailbag: How Do I Replenish A Bond Laddering Strategy? Courtney Fraser is a Wealth Manager at Marotta Wealth Manager, specializing in retirement accounts, required minimum distributions, and Roth conversions.